As you can imagine, along with the random baked goods and leftovers from dinners or lunches, I have very limited space in my fridge and pantry. My mum is threatening to throw my stuff out, and rightly so! Most of this stuff has a limited shelf-life, and quite a few of them are probably expiring by early next week. Though to be honest, the only thing I’m getting worked up over is the buttermilk as it’s so bloody expensive here. So this weekend, I’ll be working on depleting my supply of goods. I’m thinking pancakes, bread, muffins, a chocolate cake, baked red snapper and tomato roasted cous cous! 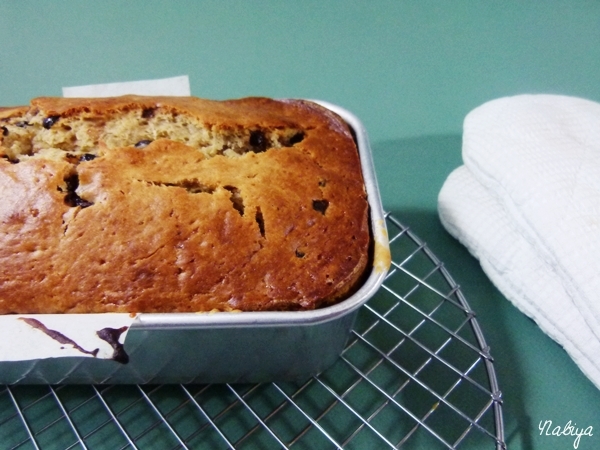 Now, first up is yet another Banana Bread recipe! Except this time, I’m ditching the health and diet, and going for the good stuff. 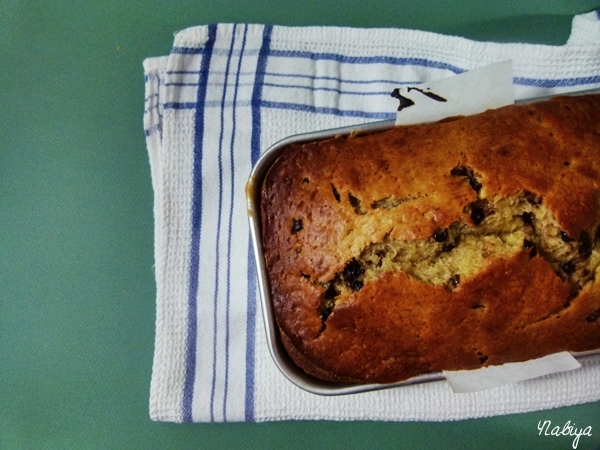 In an effort to whittle away at my pantry, I’ve whipped up a batch of Buttermilk Banana Chocolate Chip bread, recipe courtesy of Marc Matsumoto over at [No Recipe], with some teeny-tiny adjustments (think… brown… butter…). You must resist the urge to dig into the completed product while it is still cooling in the pan. You must do this and remind yourself that completely cooled bread is always easier to get clean slices of. 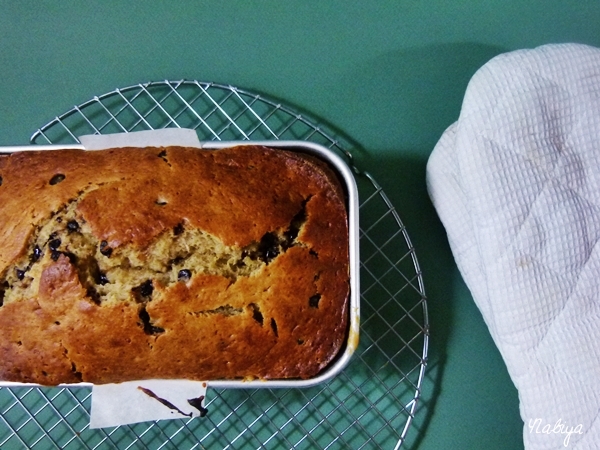 Also, you do not want a repeat of a previous brown butter banana strawberry bread incident where you had burnt your tongue. No, you do not. If you try this recipe, I hope you enjoyed it as much as I did, and isn’t it just easy peasy lemon squeezy?